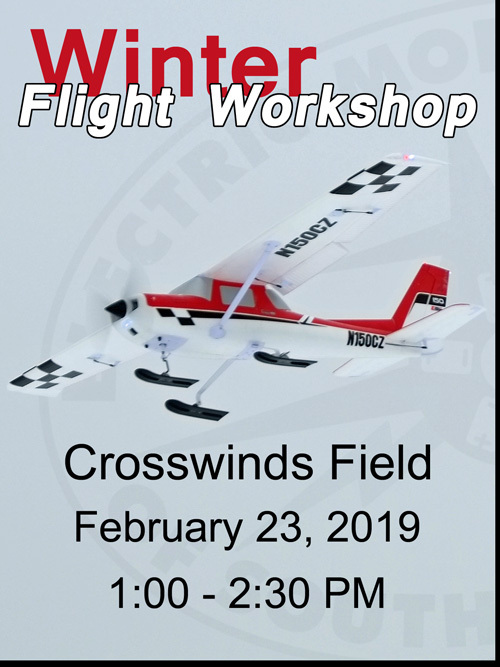 Bring a model aircraft and dress for the weather. See you at Crosswinds. We had our workshop today and although it was a bit blustery, I did get three full flights in. Some testing was done with Clair's recent acquisition and it seems it will need a tail ski and small keels on the bottom of the skis. It really slid around once it got going. Taxi testing was planned and that was to show any shortcomings that the skis might have had. I had a gust roll my Cessna nearly into the ground but power got it back in the air loosing only a bit of the elevator and scraping the wing tip. That was during the first flight but I kept going for two more and there was no discernible loss of control. It's repaired and waiting for next week. I hope the video will post here but the pictures will for sure. Take care. I couldn't remember if I had mentioned this or not but a very hearty thanks to David for creating a parking area and a path to the flight line. I didn't get bogged down this time and we all really appreciated the work done. See you soon.